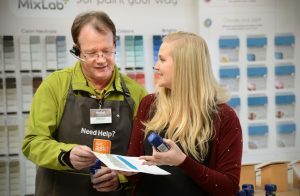 As Ireland’s market leading DIY, Home and Garden Retailer, Woodie’s is committed to continuous improvement and growth. 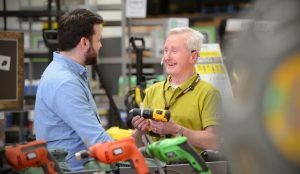 An investment in Quail Digital’s wireless headset systems has not only radically improved communication between its store associates – and hence availability of staff resources – but also provided a hands-free, lightweight solution to deliver better service levels across the entire shop floor, revolutionising Woodie’s overall in-store experience. 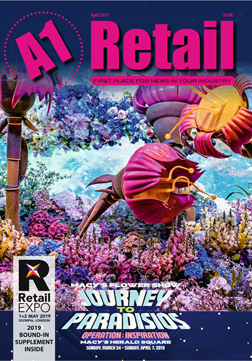 Providing friendly and knowledgeable staff, short wait times and good communication is absolutely critical for retailers, especially for those trading in the hardware sector, as they continue to rise in popularity amongst homeowners. With 35 stores nationwide, Woodie’s is one of the leading destinations for paint sales in the country. 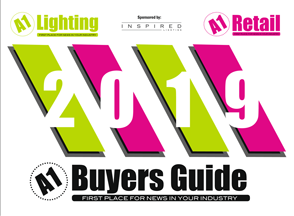 From power tools to gardening, the hardware retailer sells in all the main DIY categories and has recently entered into the kitchens market. In addition, the retailer has found that the implementation of this system has had a positive impact on the reduction in theft. By connecting the team via headsets, shoplifters are deterred from committing crimes out of fear that it will hinder their ability to get away easily. “This is another unique benefit of these wireless headsets, providing our staff with the ability to react quickly to these situations, helping them to feel more secure,” says Gavin.